Originally named bixbite by Alfred Eppler in honor of Maynard Bixby [1853-1935], miner and mineral dealer of Salt Lake City, Utah. 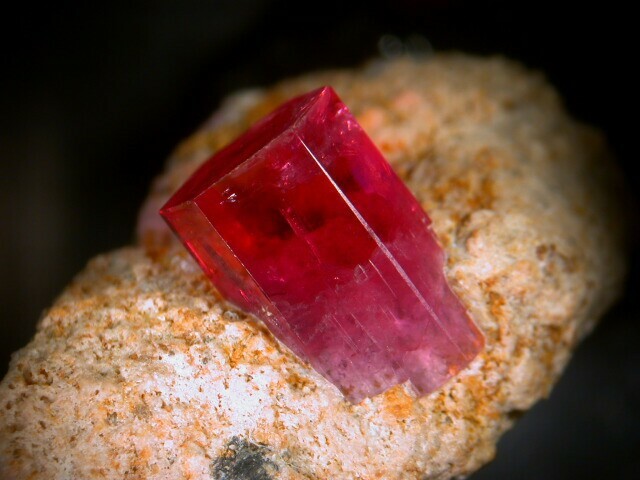 Named changed to red beryl to remove any confusion with the species bixbyite, named for the same person. A gooseberry-red variety of beryl. 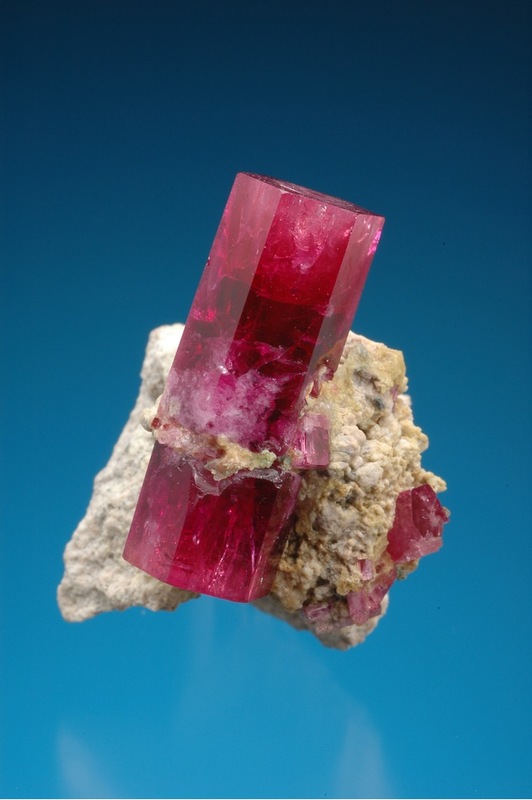 Visit gemdat.org for gemological information about Red Beryl. Topaz 6 photos of Red Beryl associated with Topaz on mindat.org. Bixbyite 5 photos of Red Beryl associated with Bixbyite on mindat.org. Opal 3 photos of Red Beryl associated with Opal on mindat.org. Pseudobrookite 2 photos of Red Beryl associated with Pseudobrookite on mindat.org. Quartz 2 photos of Red Beryl associated with Quartz on mindat.org. 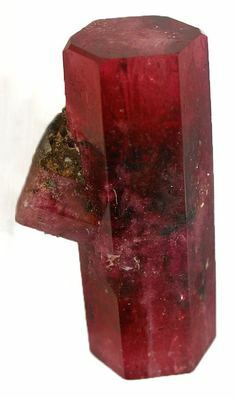 Hematite 2 photos of Red Beryl associated with Hematite on mindat.org. Garnet Group 1 photo of Red Beryl associated with Garnet Group on mindat.org. 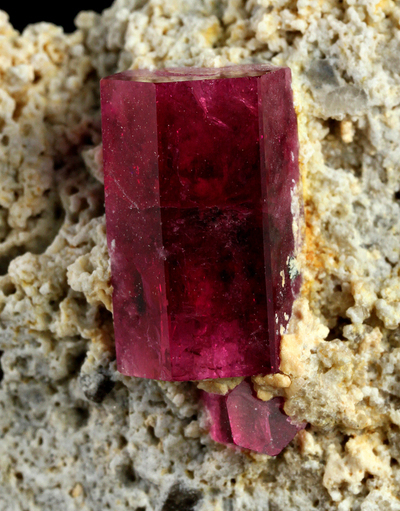 Spessartine 1 photo of Red Beryl associated with Spessartine on mindat.org. Fridrichová, J., Bačik, P., Ertl, A., Wildner, M., Dekan, J., Miglierini, M. (2018): Jahn-Teller distortion of Mn3+-occupied octahedra in red beryl from Utah indicated by optical spectroscopy. Journal of Molecular Structure 1152, 79-86. The following Red Beryl specimens are currently listed for sale on minfind.com.